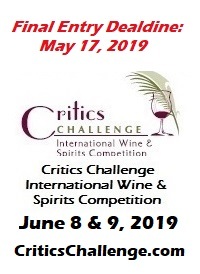 The 15th annual Critics Challenge, judged exclusively by prominent wine journalists and staged in San Diego in May, boiled down to one knotty problem: too many very, very good wines. As problems go, this is a good problem to have, but it made deciding the Director’s awards something of a challenge. Consideration for Wine of the Year was most contentious, with six to eight solid contenders. After considerable deliberation, Competition Director Rich Cook announced this week that the Judd’s Hill 2015 Cabernet Sauvignon, Rutherford, Napa Valley ($80) had emerged as domestic Wine of the Year and the 2013 Castello Banfi Brunello di Montalcino, Italy ($80) had been selected foreign Wine of the Year. Both wines are red and both impressed the judges and the competition directors, including yours truly, with remarkable structure and complexity. On a personal note, the Banfi Brunello is one of the finest I have tasted from Banfi in more than a quarter-century as a wine journalist. Winery of the Year was a bit less agonizing. Cook announced that the Champagne house Moet & Chandon, with five platinum awards from five wines entered as well as Best of Show Sparkling Wine with its 2009 Grand Vintage Brut Rose ($70), had been tabbed as foreign Winery of the Year. The Napa Valley winery V. Sattui, also with five platinums and a slew of other awards, was chosen domestic Winery of the Year. Banfi is the powerhouse Italian producer from Tuscany’s Montalcino district. It took ten medals, including 2 platinum awards and six golds. Its 2013 Brunello di Montalcino, $80, 97 points, is a solid contender for Wine of the Year. On a personal note, I’ve been tasting the Banfi wines going on 25 years and this is close to the finest Brunello I have tasted from this property. Barefoot Cellars and Barefoot Bubbly. Between them they took 3 platinum awards, 5 golds and 12 silvers. When your wines retail between $6 and $9, that kind of showing is very, very impressive. Given the volume (11 million cases annually) the consistency is remarkable. Concannon Reserve and Concannon gave a big shout-out to the oft overlooked Livermore Valley, east of San Francisco, with 3 platinums, 2 golds and 6 silvers. Probably not enough to claim the big prize, but a sensational showing nevertheless. 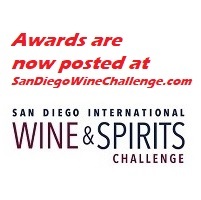 Eberle Winery of Paso Robles took 8 medals, 7 gold or better. This is a feather in the cap of winemaker Chris Eberle (no relation to owner Gary Eberle) who moved to Paso drom Australia two years ago to take the reins at this iconic Central Coast winery. Frank Family Vineyards only entered 5 wines, but won gold medals with each. This Napa Valley winery is very solid with Cabernet Sauvignon and Chardonnay. Korbel Vineyards has been making budget sparkling wine in Sonoma County’s Russian River Valley for as long as I can remember. They’ve never been better. The flagship Korbel Natural earned a platinum award to go with 5 golds and 1 silver. Moet & Chandon is one of the giants of the Champagne industry, and it played a giant at Critics Challenge. Moet entered 5 wines and earned a platinum award with each. Hard to do better than that. Navarro Vineyards is a small family run winery in Mendocino’s Anderson Valley, but it’s a big player in California wine. Navarro earned 13 medals, including 1 platinum and 8 golds. The wines are stunning and the prices reasonable, a winning combination. Rodney Strong, so underrated all these years, took 13 medals including 2 platinum and 6 gold. This Sonoma County winery was among the earliest in California to embrace Chardonnay and its Chardonnay is exceptional to this day. St. James Winery of Missouri is probably the finest winery in the Midwest, working with hybrid grape varieties and producing stunning fruit wines as well. St. James turned in an impressive performance with 2 platinum awards, 10 golds and 8 silvers. A very strong contender. V. Sattui is a perennial contender at major wine competitions and fired on all cylinders at Critics Challenge. It bagged 5 platinum awards to tie Moet in that category, then added 11 golds and 11 silvers. That’s a stunning 27 medals for this Napa Valley winery. The wines are sold only at the winery or online. Zonte’s Footstep specializes in Australia’s Adelaide Hills and McLaren Vale, producing elegant wines from those two relatively cool climates. Zonte’s was shut out in the platinum medal hunt but scored big with 8 golds and 4 silvers for 12 medals overall. 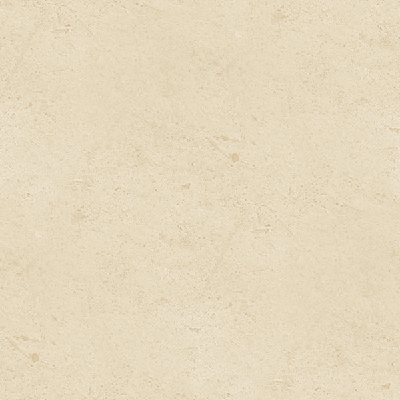 A complete list of medal winners is now posted at CriticsChallenge.com.